Premium Quality Prefinished Brazilian Cherry Hand Scraped Plank Countertop. Quote and order any size prefinished hand scraped plank countertop online! Fill in the dimensions below and options below. 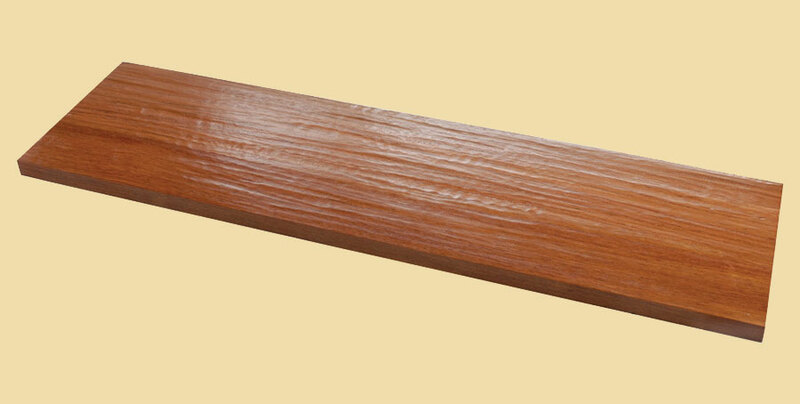 Brazilian Cherry hardwood varies from a light, orange-tinted brown, to a deep, reddish-brown. The rich colors have a timeless appeal, plus a natural luster that will add instant warmth to any room. This strong, sturdy heavy-weight hardwood has an interlocking grain, a medium to coarse texture, and is very hard and durable. These prefinished hand scraped plank countertops will add old world charm to any surrounding. Each top is actually hand scraped by our skilled craftsmen. This hand scraping is the real thing; not machined. 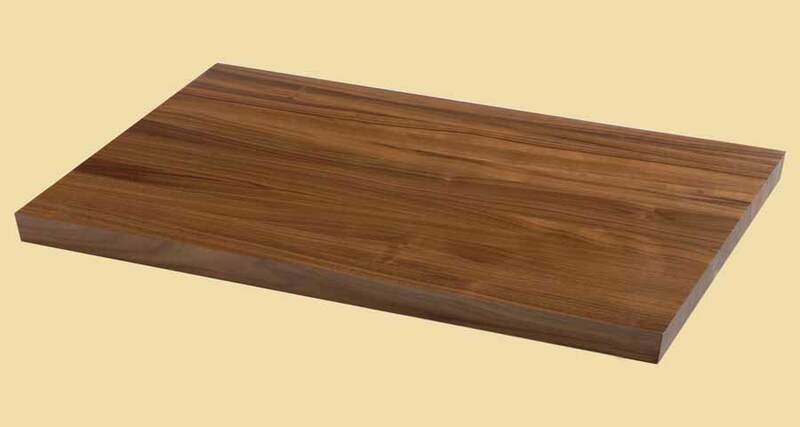 Plank countertops feature full length boards varying in widths from 3" to 6". The first and last board may be less than 3". We have several choices for the top edges of your hand scraped top. The hand scraping may or may not run into the edge occasionally.